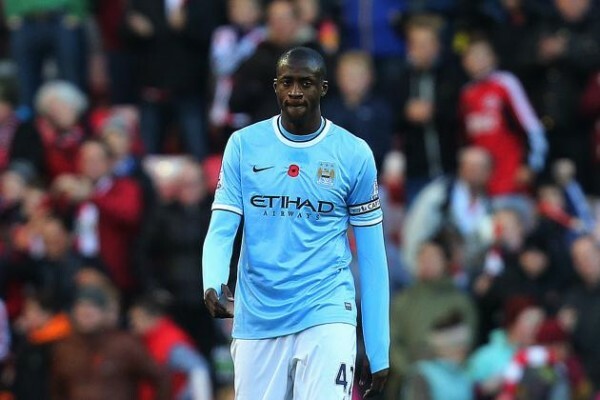 Right now no offers are being made for Yaya Toure of Manchester City, but it seems like the Ivorian midfielder is doing everything in his power, making some excessive use of his agent, to find himself a new club. Both Barcelona and now Paris Saint-Germain are very interested in the player, busy sending out hints of where he’d like to go. Toure actually rose to prominence while playing for Barcelona, although in a much more defensive role, playing behind Xavi and Andres Iniesta. He wanted more money after winning the 2009 Champions League and Barcelona were interested in advancing Sergio Busquets to the lineup. That resulted in his sale to Manchester City, where he has turned into one of the best scoring midfielders in the Europe, finishing with 20 league goals and 24 overall last season, leading Manchester City in scoring. The whole birthday debacle seems like an excuse to ask for a new contract. Toure is signed until 2017, which makes it less than a burning matter for Manchester City to attend to. He might be their best player, but he is 31, and opening his already quite massive deal doesn’t sound like the smartest idea in the world, especially with limitations (not too serious) on their salary and overall spending next season. Barcelona would like to have a go at him, and if Manchester City are thinking about starting to comply with the Fair Play rules, maybe selling him isn’t such a bad idea, helping balance out their sheets. Toure is 31, which means that selling him for around £25-30 million wouldn’t be such a bad deal, but there’s always the business of replacing him in the middle of the pitch which is a very difficult job. Toure has said he’d like to join Barcelona, but has also talked about PSG, another club that took a hit from UEFA for their excessive spending without bringing in enough money to cover for it, and wanting to play for them. There’s no doubt PSG can afford any price Manchester City ask for their star player, but it remains to be seen if the Fair Play sanctions will affect the way they handle themselves in the transfer market. Toure will play with the Ivory Coast in the 2014 World Cup, which will be his third with the national team. He has 83 caps for Les Éléphants, trailing only Didier Drogba, Kolo Toure and Didier Zokora in terms of being the most experienced player on the squad, which also includes being on five different African Cup of Nations tournament squads.